Set of 4 Injector Dynamics ID2000 Fuel Injectors for K Series Engines. 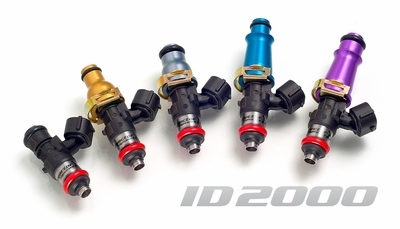 The ID2000 injectors are the "big boys" on the block flowing up to 3700cc/min at 130psi fuel pressure, while still maintaining strict injector control at up to 95% duty cycle. These are the best large scale injectors for the K20/K24 engine platform that money can buy. * Fuel Compatibility - Compatible with Methanol/Ethanol/All Known Hydrocarbon Fuels. Incompatible with MTBE/Nitro Methane/Nitro Propane. 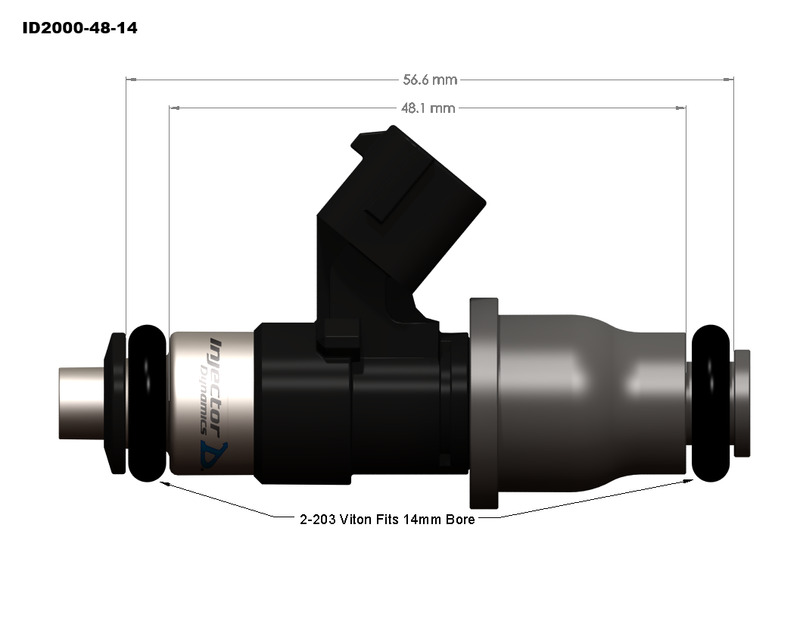 Injector Dynamics fuel injectors are the result of batch testing large quantities of specially modified fuel injectors, and then carefully matching them to within 1%, in sets based on their dynamic flow across the pulsewidth range. The result is vastly superior cylinder to cylinder consistency, even at very low pulsewidths. In addition to receiving tightly matched injectors, you will be provided with dead time compensation values across the entire pressure and voltage range of the injector. This data will insure that the compensations in your ECU work properly, and your air fuel ratios will remain consistent as atmospheric or voltage conditions change. Flowing in excess of 2000cc/min at 3 bar, the ID2000 will provide a smooth stoichiometric idle on small bore engines running E85, and it will do all this while maintaining strict linearity up to 95% duty cycle at 9000rpm With a pressure capability of 9 bar (130psi) this injector can flow as much as 3700cc/min with excellent low pulsewidth linearity, and has the broadest operating range of any injector on the market.